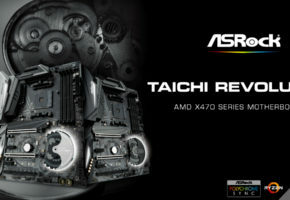 This motherboard will be available in two variants (with onboard WiFi AC and without it). Let’s start with changes from X370. 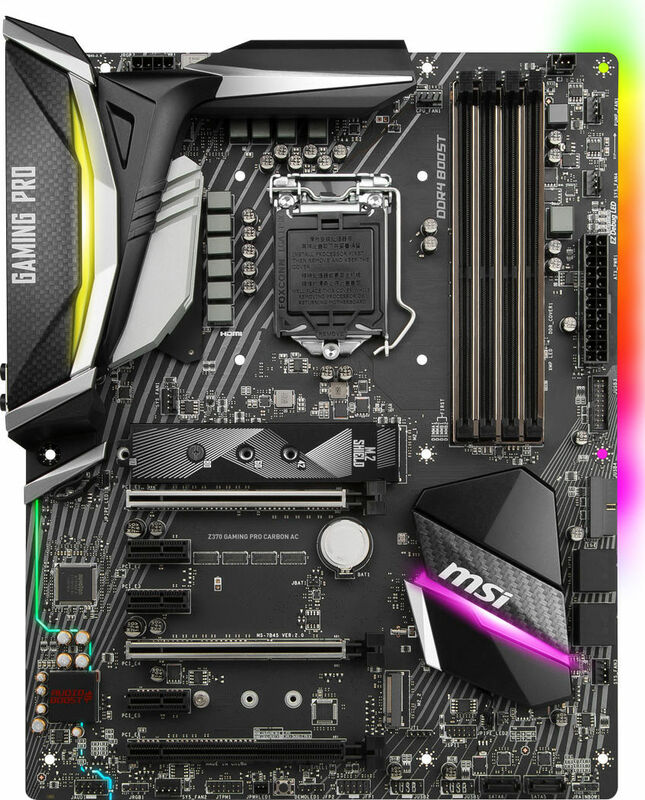 Apart from the design makeover and much fancier shrouds, the X470 version has actual heatsinks over VRM. 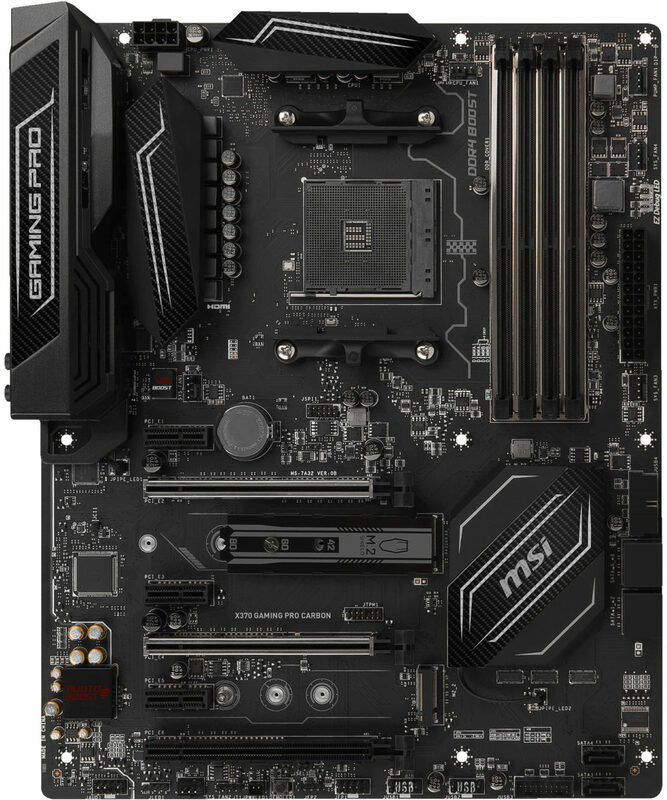 The current is delivered through two 8-pin EPS connectors (the X370 only had one). 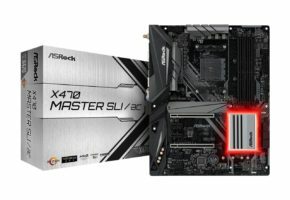 The X470 Carbon Pro AC lost one PCIe x1 slot, but it gained two additional SATA ports (in total there are 8). 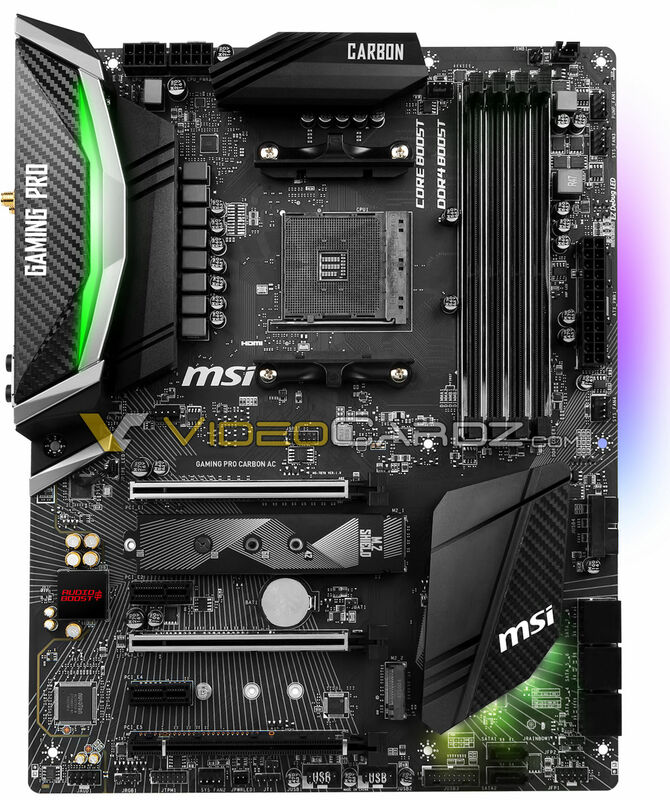 There are still two M.2 slots, but the primary one is covered with a new version of M.2 Shield, which is much longer than on X370 so it should provide better heat dissipation. 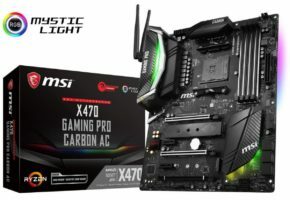 This is not the best model for X470 platform from MSI. Our sources told us there’s also GAMING M7 in the making. The Gaming Pro lacks some of the features that other brands have in this price segment, such as Debug LED or even power/reset buttons. 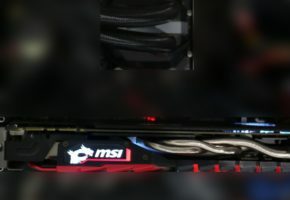 However, the X470 Gaming Pro Carbon is an interesting upgrade from X370 version, especially in VRM section. 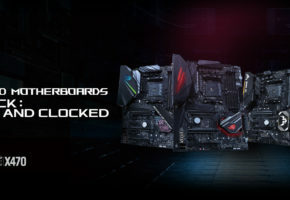 MSI knows that black & silver designs are the most popular among PC builders and LEDs can be disabled if anyone chooses to. 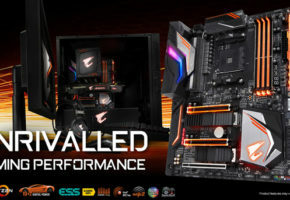 Is this the motherboard you should buy for your Ryzen 2700X? We should probably wait for reviews to answer that. For the sake of comparison, here’s X370 (left) and Z370 (right). 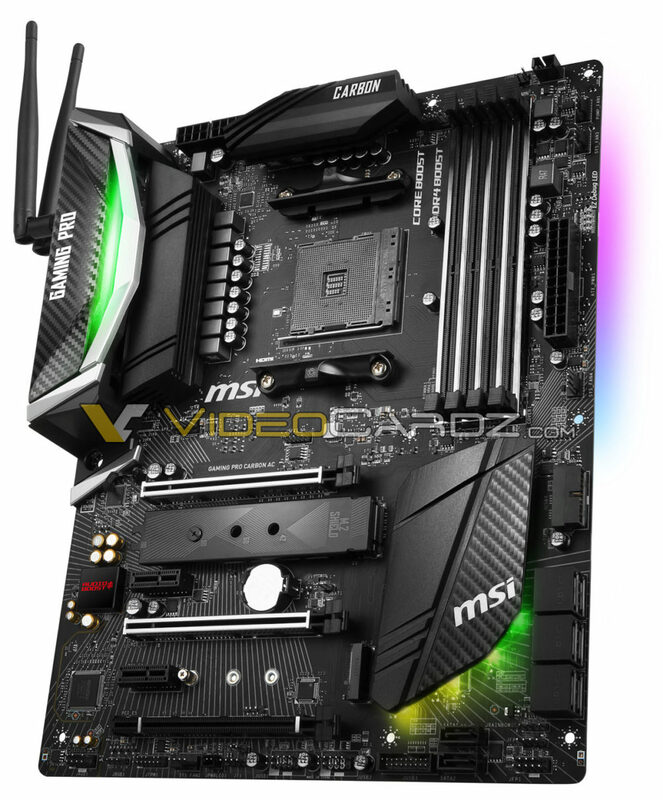 The first Ryzen motherboard was released before the facelift, hence it has a much different design.